I bet you didn’t know you need to prepare for your photographer arriving in the morning did you? Well you do, so listen up! 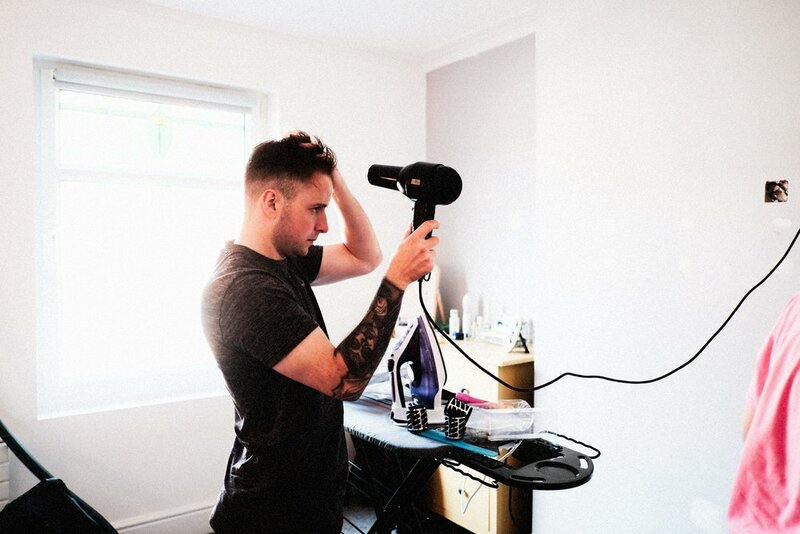 You need to consider where you’re getting ready, the room must be large, full of natural light, make-up must be done by a window so there’s lots of natural awesome looking light for your photographs. You also need to make sure someone is on-hand to tidy up all the clutter, there’ll be lots of mess with all those people bustling around, get one of your bridesmaids to make sure they do a quick tidy up every 30 minutes or so. You probably also want to consider giving your house a really good clean the night before, think to yourself “how would this look on instagram” if it fails the instagram test, hoover and tidy it up again - keep going until everything is away and spotless. The other thing to consider is asking any people who aren’t particularly camera friendly to wait in the garden until the prep is over or they’ve at least had their make-up done so they resemble human beings. Old people - you don’t need them in your morning pictures, anyone over the age of 30 who will ruin the cool, hip vibe of your pictures - ask them not to come round in the morning at all, if they do arrive, have your tidy up bridesmaid put them straight in the back garden out of sight. Of course you’ve probably read a bunch of advice from photographers about getting the most from your pictures and how to prepare yourself, personally I think it’s a load of crap. You’ve got enough to think about on your wedding day, as a photographer it’s my role to give you pictures of you looking your best, your happiest and most relaxed - not yours to have to constantly think about how you might look, do whatever the hell you like in the morning, it’s your wedding. As a documentary wedding photographer I touch absolutely nothing, stage nothing or coerce people into doing things for the camera - it’s not real if any of that happens.